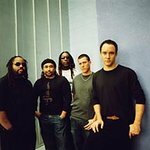 Established in 1999, the Bama Works Fund of Dave Matthews Band supports charitable programs in the Charlottesville area. Program interests include: disadvantaged youth, needs of the disabled, protection of the environment, and the arts and humanities. Google trends for "Bama Works Fund"
We don't have any videos related to Bama Works Fund.